Sorry, haven’t posted my blog properly last week, just been too busy!! (Good complaint!). A lovely walk today with all my fav. dogs – Laddie & Meg (the black labs), Jude (the golden lab), Murphy (the cocker spaniel), Skye (the collie) and my own two Vizslak Holly and Ivy. 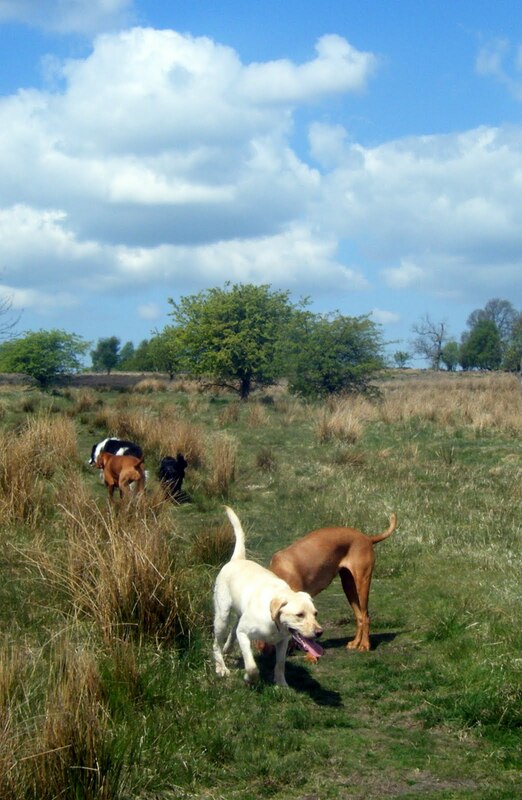 I LOVE walks like today – sun is shining, the dogs all get on so well & enjoy their walk. I may not say this when it is -10C in January, but for now I love my job!